Against common understanding, Amazon basin upland soils contain average carbon, nitrogen and sulfur concentrations similar to, e.g., European soils. The same applies for average C / N ratios. Post-forest land (e.g., pasture land, plantations) show up to 20 % of carbon and nitrogen losses after deforestation. Distinct seasonal dynamics are visible for the generally low pH-values and very low electrical conductivities in soil solution – a likely driver of seasonal element mobility. 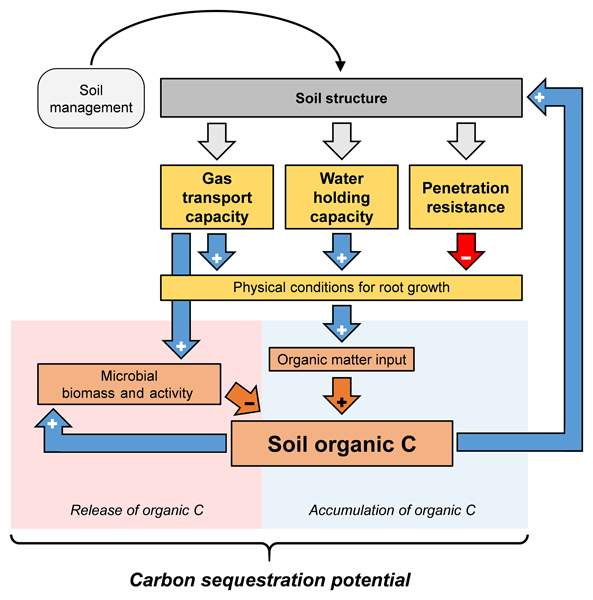 The chemistry of soil solutions in different areas of a small, V-shaped mountain valley affected by soil acidification and spruce die back was evaluated during two hydrological years some 30 years after peak pollution occurred in central Europe. Our results provide insights into the effects of acidification disturbances and contamination recovery and point towards the contribution of groundwater carrying legacy pollutants. These include strong anions that still promote weathering of base metals. We measured net fluxes of OCS from nine soils with different land use in a dynamic chamber system and analyzed for one soil RNA relative abundance and gene transcripts. Our data suggest that indeed carbonic anhydrase (CA) plays an important role for OCS exchange, but the role of other enzymes might have been underestimated. Our study is the first assessment of the environmental significance of different microbial groups producing and consuming OCS by various enzymes other than CA. Policy to conserve thinning arable soils relies on a balance between the rates of soil erosion and soil formation. Our knowledge of the latter is meagre. Here, we present soil formation rates for an arable hillslope, the first of their kind globally, and a woodland hillslope, the first of their kind in Europe. Rates range between 23–64 mm kyr. On the arable site, erosion rates are two orders of magnitude greater and in a worst-case scenario, bedrock exposure could occur in 209 years. Digital soil mapping has been widely used as a cost-effective method for generating soil maps. DSM models are usually calibrated using point observations and rarely incorporate contextual information of the landscape. Here, we use convolutional neural networks to incorporate spatial context. 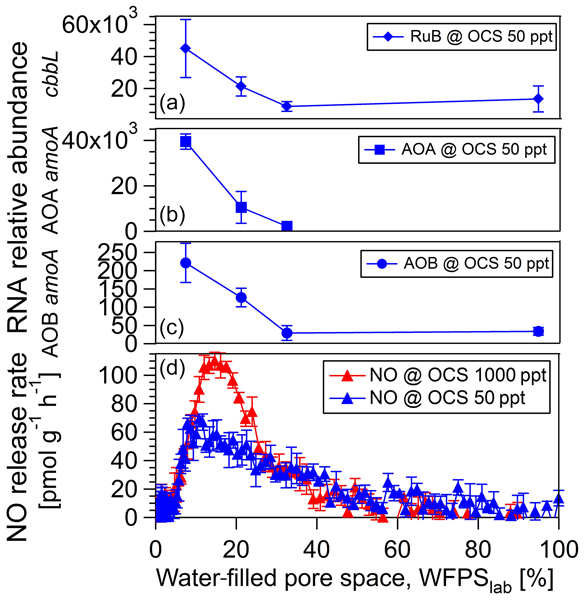 We used as input a 3-D stack of covariate images to simultaneously predict organic carbon content at multiple depths. In this study, our model reduced the error by 30 % compared with conventional techniques.